San Francisco, CA, 1 October 2012 — K*STAR*PRODUCTIONS, home of the Kendra Kimbrough Dance Ensemble (KKDE), presents a remount of the 2012 premiere, “In the Meantime.” This original dance-drama is about how a family devastated by cancer manages to cope. “In the Meantime” combines dance and text to explore the intimate anxieties of the meantime—when you hope for the best but must prepare for the worst. 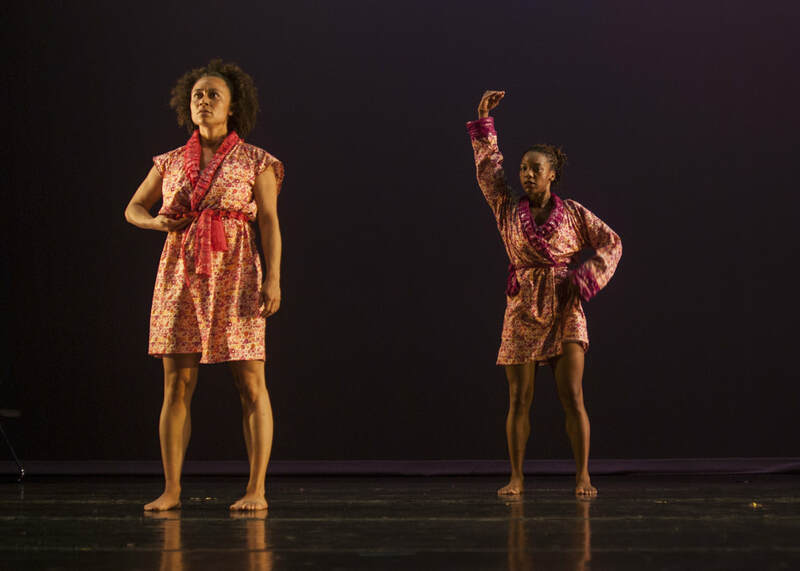 “In the Meantime” was choreographed & co-directed by Theater Bay Area Award finalist Kendra Barnes, written & co-directed by Izzie Award recipient Delina Patrice Brooks, a Bay Area-based playwright, director and performing artist. Featured guest artists include Dandha da Hora (Brazilian Vocalist & Choreographer) and Julio Remelexo & Tambores (Brazilian Percussionist & Vocalist) performing live traditional Orixa songs as well as original songs written by Delina Patrice Brooks. Director Kendra Kimbrough Barnes presents “In the Meantime” as a tribute to Breast Cancer Awareness Month, remembering her mother's battle that ended 26 years ago, and to the many families still affected by the disease. It investigates what it's like to face the possibility of death while managing the demands of life. KKDE's multi-disciplinary performers articulate the gripping emotional commitment and vulnerability of those suffering from breast cancer, whether researching preventive measures, caring for an inflicted loved one, or personally facing the disease. “In The Meantime” also takes a critical look at breast cancer awareness campaigns. “In the Meantime” will be performed on Saturday and Sunday, October 28–29, 2017, at 7:30pm and 4:00 respectively at Laney College Theater, 900 Fallon Street, Oakland (Lake Merritt BART accessible). Tickets ($10–$25) are available at www.kkde21.brownpapertickets.com; by calling 510.560.5533; or at the Box Office one hour prior to the concert. A discussion follows the concert on Saturday, October 28 (7:30pm Show) with local breast cancer awareness and prevention service organizations. Having performed with such notables as the late Malonga Casquelord’s Fua Dia Congo, Chitresh Das’ Chhandam School of Kathak Dance, Donald Byrd, Robert Moses, Robert Henry Johnson, Bebe Miller, Bill T. Jones, and Roseangela Silvestre, Kendra Kimbrough Barnes founded her own ensemble in 1996. She has been a guest choreographer for San Francisco State University's Dance Department, Dimensions Extensions Youth Performance Ensemble, Move Dance Theater of Oakland, and Abundant Life Christian Fellowship (staging a 100+ cast for a 4,000+ audience). 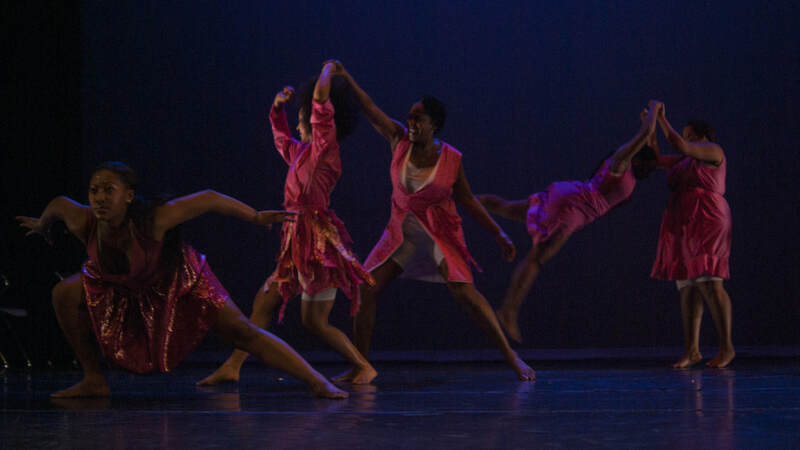 KKDE has presented work at the East Bay Dance Festival, Alice Arts Center, the Black Choreographers Festival, Summerfest/WestWave Dance Festival, and Dance Mosaic. Barnes has taught dance to adults and children of all ages through Dimension’s Rites of Passage program in Oakland at the Malonga Casquelourd Center for the Arts and jazz, Pilates and yoga at San Mateo, Laney and SF City Colleges. She has been an artist in residence at the Headlands Center for the Arts and is a 2010 AIR at CounterPULSE. Most recently she was the co-choreographer of CalShakes’ Black Odyssey for which she is a finalist for Outstanding Choreography. Barnes is also co-founder/director for the Black Choreographers Festival (BCF). 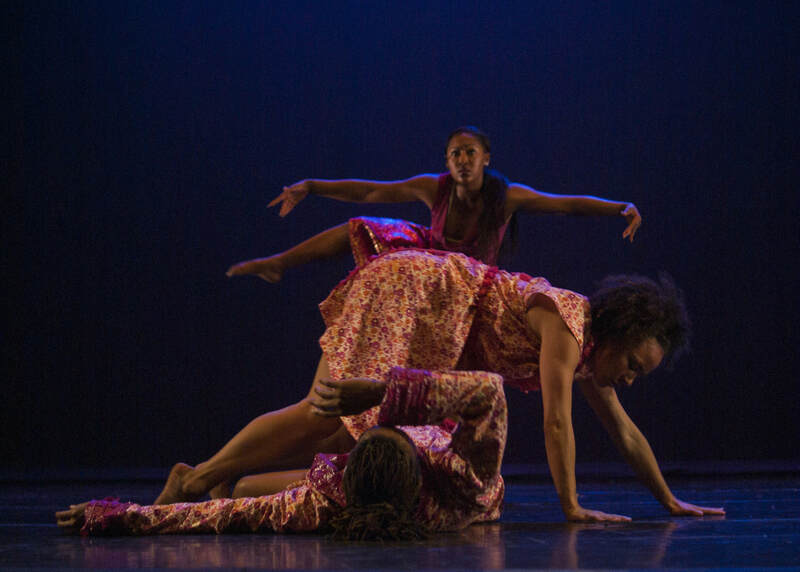 Since 2005 BCF has served local, national and international artists with over 150 public events, acknowledging the diverse artistic expression within the context of African and African American dance and culture. Under her direction, K*Star*Productions, the presenting organization for BCF and KKDE, has received funding from the City of Oakland Cultural Arts Program, CA$H, The Irvine Foundation, the Zellerbach Family Fund, Alameda County Arts Commission, East Bay Community Foundation, California Arts Council, Sam Mazza Foundation, and The Walter and Elise Haas Fund Foundation. The Season of the Kendra Kimbrough Dance Ensemble is made possible by the generous funding of The City of Oakland Cultural Funding Program, Zellerbach Family Foundation, Sam Mazza Foundation, and the California Arts Council. KKDE/K*STAR*PRODUCTIONS is fiscally sponsored by Dimensions Dance Theater. Delina Patrice Books, (Writer & Co-Director) is a writer, producer and performing artist, and Founder & Director of DelinaDream Productions. Her work has been commissioned by the AfroSolo Festival, YBCAway Program, The Black Choreographers Festival, Dance Brigade’s D.I.R.T Festival, and University of Wisconsin: Madison’s Filipino American Student Organization among others. Current projects include Izzie-award “An Open Love Letter to Black Fathers” (dance-theater) and Bare Soles Bare Soul (film). Visit her at www.delinadream.com. Dandha da Hora (Guest Choreographer & Vocalist) Born and raised in Salvador, Bahia, Dandha Da Hora has been a member of Ilê Aiyê, one of Brazil’s most important musical and cultural institutions, since she was 6 years old. In her teaching, as well as in her performances, Dandha invokes the incredible spirit of Salvaldor, Bahia, Brazil and of Ilê Aiyê. A master dancer and dance teacher, as well as vocalist and percussionist, Dandha honors the incredible gifts of her culture every time she performs. As a lead dancer with Ilê Aiyê and one of the lead vocalists of music group SambaDá (based in Santa Cruz, CA), Dandha has shared the stage with Brazilian stars such as Caetano Veloso, Gilberto Gil and Daniela Mercury. Julio Remelexo & Tambores (Percussionist), is a drummer originally from the Afro-Bloco Ilê Aiyê in Salvador, Bahia, Brazil. He is the founder, director and singer for Tambores Julio Remelexo and has played with famous musicians all over the world. Julio founded Tambores Julio Remelexo in 2004 as an all-women’s percussion bloco here in the U.S. similar to those of Salvador, Brazil. Tambores Julio Remelexo is a lively, energetic group known for its rhythms, dancing while playing, and unique tricks with instruments. Julio Remelexo performs all over the Bay Area and in Brazil. For a great time, amazing energy, fabulous entertainment, and lots of fun…look to Tambores Julio Remelexo!!! !